When you export a manual to Word you will need to open the resulting file in a word processing program in order to generate the table of contents. For most applications this only requires that you open the document and then save it. 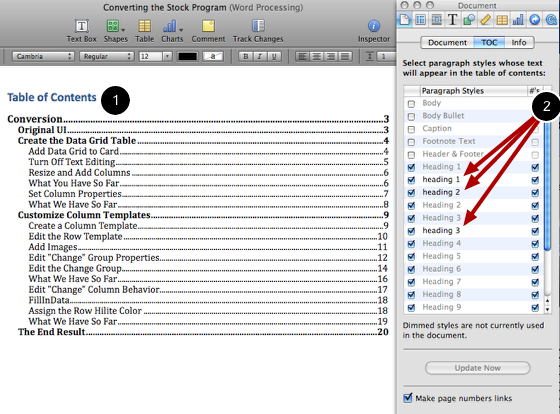 When you open the Word file in Pages the Table of Contents is generated automatically (1). You can then save the document. You can change what shows up in the Table of Contents using the Document Inspector and unchecking the heading boxes (2). 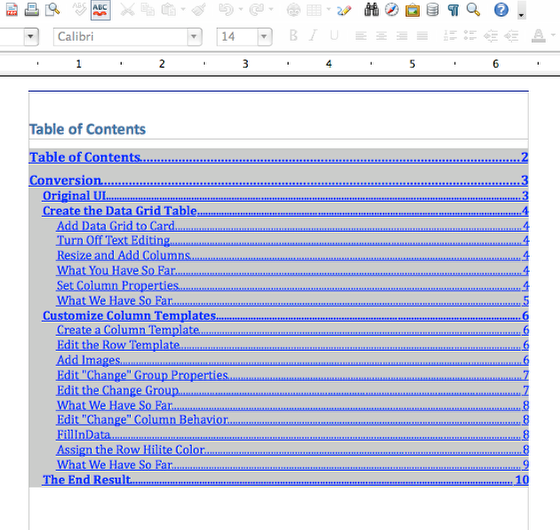 Opening the Word file in OpenOffice.org will generate the table of contents. You can then save the document. Prev: How Do I Generate the Table of Contents For A Manual Using Microsoft Word?